Multi award-winning West End director Andrew Keates is coming to town for a new Irish musical. From Dublin, playwright and composer Shauna Carrick, Chromatics tells the story of James, who is trying to create his first play, while Al is ready to fly the nest for the big city and Kate is trying to hold it all together. It is a story about graduating, dreaming big and slowly realising that “it” might not happen, at least not as planned. 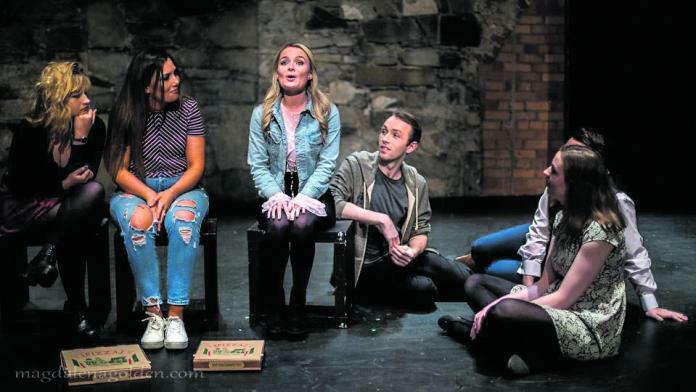 Performed by a cast of ten emerging musical theatre performers, this ensemble piece pulls together the stories of young Irish people in a multitude of real-life complicated scenarios against the backdrop of a Dublin rebuilding itself. 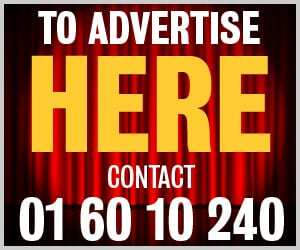 It is directed by British director and champion of new musical theatre, Andrew Keates. 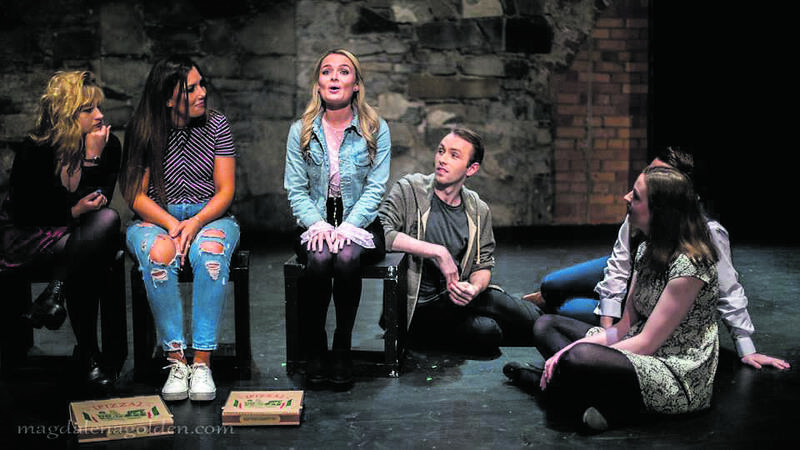 Dublin Gazette caught up with the award-winning director about the musical. He told us what Dublin audiences can expect. “Chromatics is impressive and honest. “Impressive in that we chart the lives of 10 young people from their graduation over the course of a year to how leaving college does not necessarily lead to an easier life, in many ways, quite the opposite. “What holds these young people together is the love of their theatre society and the friendships and relationships they’ve built there. “It’s really important in that it’s a new Irish musical that feels authentic, rather than say some of the other pieces that have been set in Ireland but written by either English or American writers, where the issues, language and culture of Ireland can feel very stereotypical. Andrew said he is loving his time in Dublin. “I’m having a wonderful time in Dublin! How could anyone not? “What’s great is it’s not just a quick visit. I’m here for a month and I’m really starting to get into the rhythm of this great city and its extraordinary people. “Sometimes I have to remind myself that I’m here for work as it’s all too easy to have that one extra pint after rehearsal or squeeze in something on my cultural itinerary of things I’ve always wanted to see. “But I have a great many number of friends back home in London who are from Dublin and I’m regularly receiving advice of things to see and do. Chromatics is on in The Mill Theatre, Dundrum from November 5-10.